Home » Uncategorized » Welcome to Micayla! By sgolden99 in Uncategorized on May 15, 2017 . Micayla has been working with us for a little while now but we are excited to announce she will be taking on additional clients this summer! Welcome to Micayla! Micayla Bowman, M.A., CCC-SLP is a speech-language pathologist who has been practicing since 2014. She obtained an undergraduate degree in Communication Disorders and a graduate degree in speech-language pathology from UMass Amherst. Micayla holds the Certificate of Clinical Competence from the American Speech-Language-Hearing Association (ASHA), is licensed to practice in the state of Massachusetts and holds her teaching license from the Massachusetts Department of Elementary & Secondary Education. Through her school and work experiences, Micayla has worked in a variety of settings including early intervention and all school-ages. 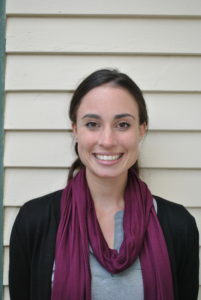 Micayla also has extensive experience working with children with Autism in both individual and group settings. In her spare time, Micayla enjoys practicing and teaching yoga and gardening.